Life's Tips and Tricks: Be Positive! We're about to end the week now, so many things happened to me this week and some are unexpected events. It looks like I will be having difficulty now running the household as our house helper had just left. Well, it was her choice. I didn't ask her to go. She was scolded because of a wrongdoing and as usual, the never ending drama is, "I'll just leave!" If you're in that kind of situation, what would you do/ i need her around in the house to do some household chores that I can't really do as I am busy both online and offline but this won't make me stop her to leave. I have a strong feeling that she was thinking that I needed her badly so she could make a declaration of leaving the house that soon. Maybe she was expecting that I would plead and ask her to stay but No! I won't do that She has done something wrong and if leaving us will make her feel important, so be it. But as I said, I did not stop her. I'm sure that sooner or later, she would realize the consequences of her decision as she badly needed a job, but that was her choice and I want her to learn her lesson. I welcome this move with positive thoughts and feelings. I told myself that I will try to attend to house works all by myself and would do my best to manage my time well. I can manage, I know I can. Instead of being problematic, I chose to be happy and think that everything is a coincidence. 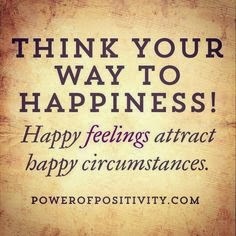 I looked at the positive side of it and as a result, I was able to attract happy circumstances. It was a blessing in disguise and I am inclined to believe that my happy thoughts bring me to positive circumstances. I am not certain yet on what will happen with my schedule next week but I always believe in positive thinking! It is indeed frustrating but it is better you let her leave rather than have her continue to work for you yet refused to be corrected. Hope you find a replacement soonest. Yes, try to accept it positively. Maybe there's a better helper than the one you just lost. It's both hard on you since you lost another hand and she lost her job.